Today when grandparents share a video moment with grandchildren, it’s likely that the image on the screen is the highly popular “SpongeBob SquarePants.” The show chronicles the adventures of SpongeBob and his friends in the fantasy underwater city and is the highest rated series ever to air on Nickelodeon. But almost 90 years ago another animated character captured the hearts of the American public and today she enjoys a revival among cartoon enthusiasts. Who is she? The indomitable Betty Boop. According to grandson Mark Fleischer, Betty Boop was the creation of a talented young man named Max Fleischer. He notes that Zayde Max was born into a Jewish family in Krakow, Poland, the second of six children and the son of an immigrant tailor who settled in Brownsville, that, back in the day, was the poorest Jewish neighborhood in Brooklyn. Times were hard and when Max’s father lost his business, daily life went from bad to worse. But Max persevered, first doing odd jobs, then earning his degree in Commercial Art at Cooper Union College. Max married his night school sweetheart, Essie Goldstein and together they went west to California where Max became a cartoon creator and master animator. And that’s where Betty Boop was born. She first appeared in a famous cartoon, “Minnie the Moocher,” where her character took an important turn. Her parents appeared on the scene and story after story focused on Betty’s independence and how Betty was determined to rise up from the Lower East Side tenements and make it on her own. 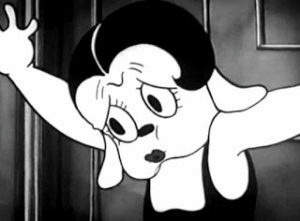 The cartoon was revolutionary for two reasons: Betty was one of the first female characters with enough chutzpah to go her own way and even more amazing, Betty Boop was recognizably Jewish! 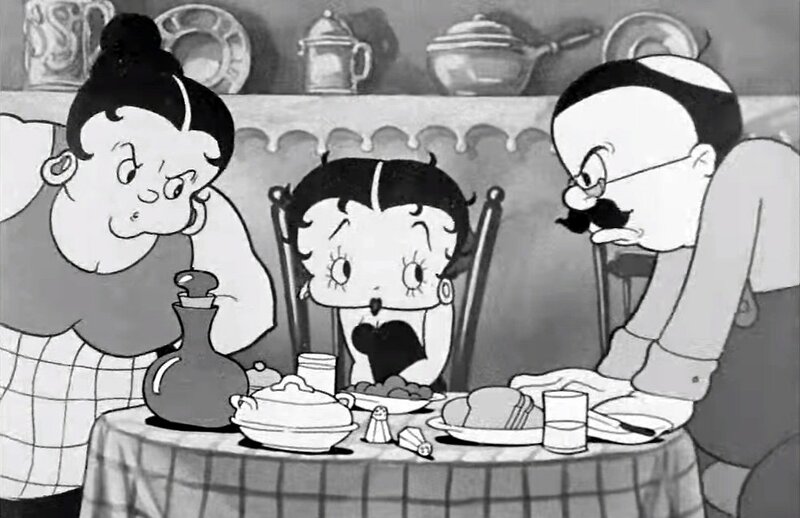 In fact early cartoons featured Betty’s mom and dad, speaking to daughter Betty … in Yiddish! 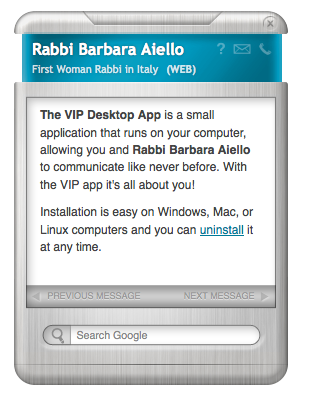 In the very first episode, Betty’s dad’s yarmulke bounced on his head as he scolded her, prompting Betty to run away. Stifled by her overbearing immigrant parents, Betty was brazen and sultry, and eager to take this new world by storm even though she struggled with the fear of the unknown. Ultimately Hollywood censors deleted Betty from movie theatre fare, (her skirt was too short and she sported a lacy garter!) but even though she was toned down, her sassy independence attracted a cult following that sociologists believed inspired many Jewish immigrants – especially those who were young and full of adventure. Thanks to Max, Betty made so many of our meshpucha smile and laugh both at life and at ourselves, at a time when many immigrants and their children found themselves mystified by the new world around them. Betty’s message was a timely one and one that resonates today. A new animated series, one that grandparents and grandchildren can share together, will air this year where Betty is revived as a modern young woman who dreams of becoming a superstar. So we say Mazel Tov to Max Fleischer and his animated progeny, Betty Boop. As the Talmud explains, smiles are an even higher form of charity than giving money because the smile will enhance the recipient’s well-being on every level of body and soul. In Betty Boop’s history and now revival we have another opportunity to keep a light hearted spirit alive in our hearts. Thank you, Betty Boop, for keeping an important Jewish tradition alive. Thank you for continuing to make us smile.